Evian water originates from a spring in the French Alps that was 100 million years in the making. 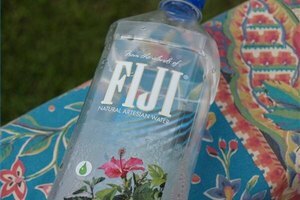 Today, it is a favorite among celebrities who swear it is the best water in the world. 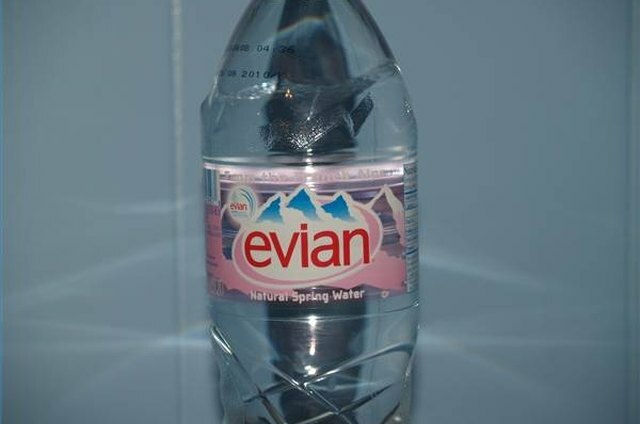 The claims have made Evian a superstar in the United States, far away from the humble village of Evian-les-Bains from which it derives its name. The French Alps were created 100 million years ago with the shifting of rocks that created the rugged beauty and rural mineral paradise of the region. Several glaciers swept in and covered the mountains, which made protected layers of moraine levels. These glacier levels made a natural purifying system where water from the snow covered peaks sifts through the glacier sand layers, eventually ending at the source of Evian spring. The purification and mineral process of Evian water takes about 15 years. The snow-capped peaks of the Alps melt each summer and move through the mineral rich glacier sands of the Vinzier Plateau. These layers act as a sand filled sifter and eventually the water moves through and down the Alps and ends up in the springs in the little town of Evian. The glacier sand is surrounded by clay, which protects the water from pollution. The water is then bottled nearby in an extremely hygienic and automated plant. Evian-les-Bains is a small village in the French Republic, situated beneath the Alps and on the shores of Lake Geneva. Lake Geneva is the second largest freshwater lake in Europe. It is shared with the the town of Lausanne, Switzerland, situated opposite the lake from Evian-les-Bains. Evian itself was part of Switzerland until 1860 when the Treaty of Turin made it a part of France. Evian was a favorite of the former French minister Francois Mitterrand, who visited often. Evian now has a swanky resort, The Royal Evian, and a casino. The town hosts many dignitaries and celebrities arriving in search of health in the waters and the Alps. In 1789, the Marquis de Lessert took a walk in the Evian countryside. While walking, he drank water from the Sainte Catherine spring on the property of a Mr. Cachat. The Marquis was allegedly suffering from liver and kidney problems and he believed death was in his near future. He became convinced the water improved his health. Area doctors began prescribing the water for other patients. Cachat fenced off his spring and began selling the water, soon changing the name to Source Cachat. Over time, the same spring and a few others in the area has made the tiny rural village synonymous with perfect water and health. Is Evian Water the Best? 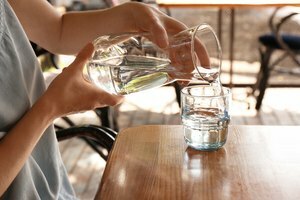 Bottled water quality as opposed to tap water is highly debated. Evian's claim to freshly water bottled at the source is true. It does not come from a municipal water source. The nutritional makeup of Evian water contains calcium, chloride bicarbonate, magnesium, nitrate, sodium and sulfates. All of these occur naturally. Magnesium is an important element and Evian has significantly less magnesium that what is found another French source mineral water, Perrier. Yet the Italian San Pellegrino mineral water has double the amount of magnesium found in Evain. Apollanaris from Germany has five times the magnesium amount. Perhaps the amounts of magnesium in these natural spring waters makes the difference in well-being. Magnesium deficiency has been linked to a variety of chronic conditions, such as diabetes, cancer, ADHD and a host of other ailments. Evian is the only one of these natural source waters that is not carbonated. Evian as a brand has enjoyed celebrity endorsements. At the Evian resort, baths of the water are available. The resort use the water as a diuretic cure and to treat skin disorders.Some hotels in the United States offer Evian water baths at the tune of over $1,000. Other hotels have attendants spray down sunbathers with Evian spritzers. Evian has even been approved as a superior water for infant formula mixtures. From birth to prestigious long life, Evian is around to stay. The natural water remains one a natural gift from one of the most pristine places on Earth.